Bring the charm of Italian ceramic tradition to your room! This piece is hand crafted in Italy! 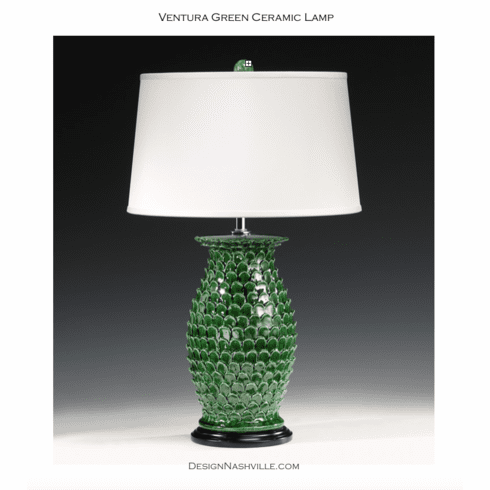 17" x 28" high lamp overall shade: 15" top, 17" bottom, 10" slant height.